Every real estate agent needs a website. That much is a given. However, if you truly want to stand out from your competition, you need a better website than them. 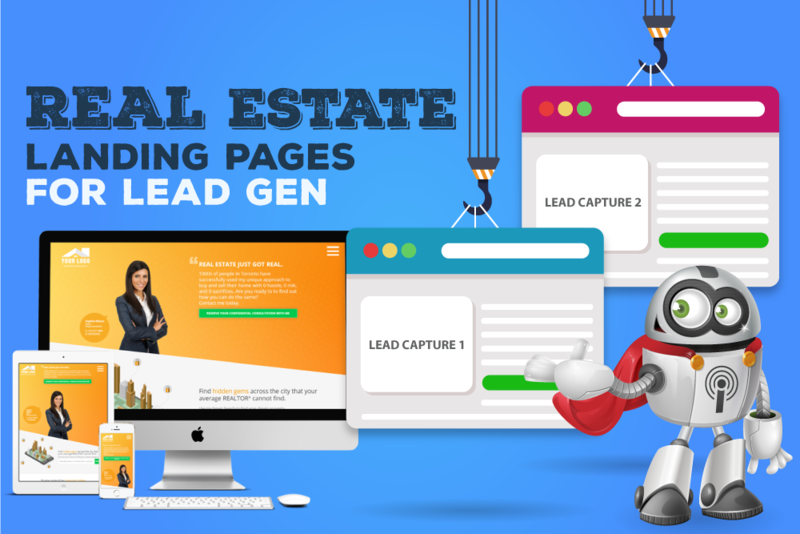 After all, the real estate agent with the better website is most likely going to be the real estate agent who can garner more leads with better real estate lead generation. One of the simplest ways you can up your website game is to employ the use of strategically placed real estate landing pages. Landing pages are pages on your website that serve a singular purpose. They are referred to as “landing pages” because they are the first pages that you see when clicking on a hyperlink on a third-party website or search engine. The goal of landing pages is to convert a visitor into a subscriber, or even into a client. The best real estate agents have bespoke landing pages that serve a specific purpose for each agent. Using a cookie-cutter or poorly-coded landing page may not be best for you or your agency, as it may be too bland or unoriginal to stand out from the competition. A landing page can have many different styles. You can choose a different background, color, purpose (e.g. like a searchable map or an email signup box for a newsletter, or for real estate lead generation), font, etc. However, again, each landing page serves a specific purpose. You can view a few different styles for some great real estate landing pages here. While real estate agents are expected to know a bit about marketing, especially internet marketing, they are not presumed to be experts. This is particularly true for real estate agents close to retirement (as they started selling homes back when the internet did not exist), and for young real estate agents who are new to the profession. Lead generation is important, especially in the digital age. You simply cannot forgo having a professional website in this day and age. Once a mistake is made on the internet, it is forever. Although a post can be deleted, a webpage can be edited, and a website can be shut down, that mistake will still be there. You need a website solution that works for you and your real estate goals, not against them. For more information, please contact us at our website today.